I made this knitted rose project by following the instructions on the Stitch-by-Stitch book written by Jane Bull. Although this book is recommended for children between the age of 5 and 8, even adults will enjoy learning from it. 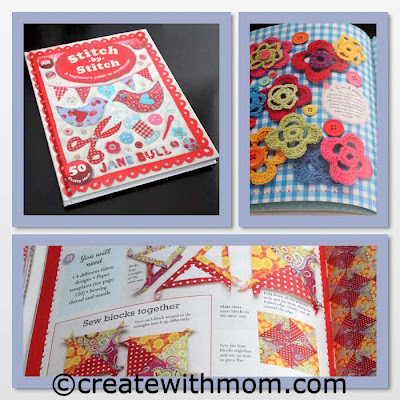 The book shows the projects beautifully with detailed zoomed pictures, so we can easily follow it. 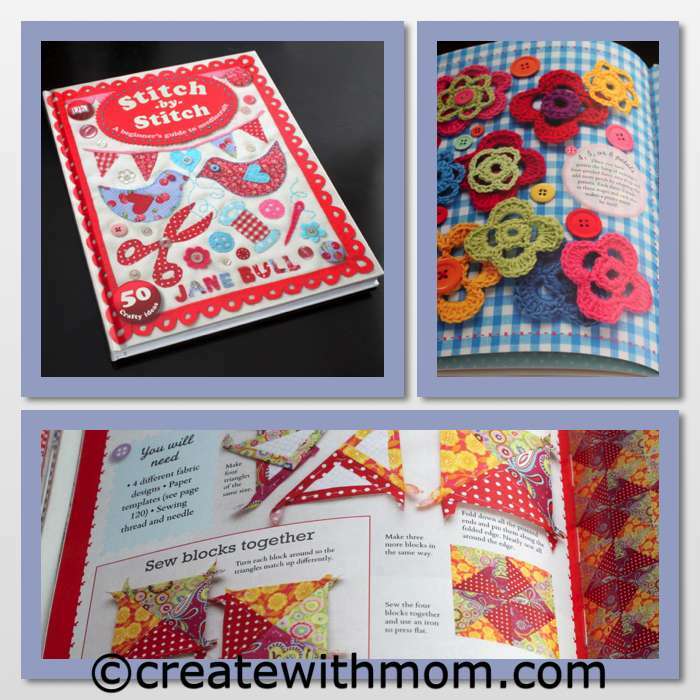 There are lots of cute projects in this book that are made with felt, wool and cloth. It was fun and easy to make these woolly roses. We can use up our left over yarn to make these roses and use it as embellishments for other projects or to make brooches. Thread the end of the yarn that is on outer part of the knitted circle and sew it into the knitting and cut the remaining long piece of the yarn. Thread the yarn that is in the centre and turn over the knitted circle. Twist the knitting into a tight curl to form a rose shape and sew it to the outer side back part of the rose that is curled so it will hold in position. Cut leaves shape in a piece of felt and sew it to the back of the rose. If you want to make a brooch then attach a safety pin to the leaf that is in the back of the rose. Those are super cute, they would make perfect hair clips! Nice work, rose looks lovely. I love to knit but have been neglecting it this past few years, I'm inspired to get back to it! those roses are super cute and I can picture them decorating a little hat or headband. So cute! i'm gonna try it!